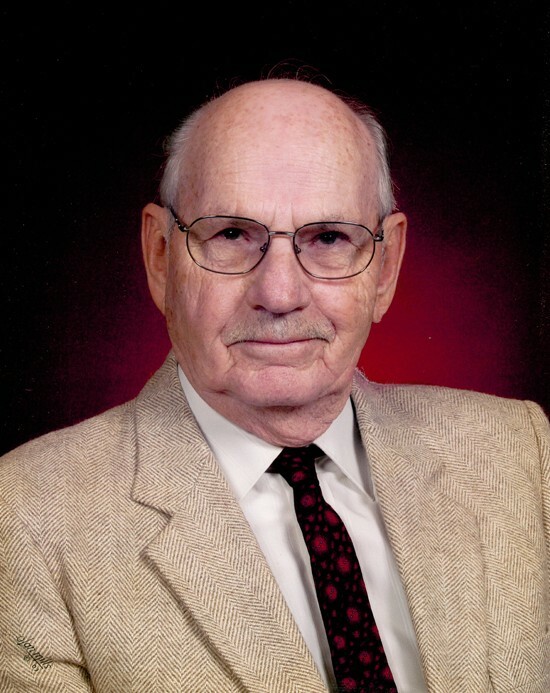 Charles Henry Wilson, a longtime resident of El Dorado Springs, went home to the Lord on November 13, 2013. Charles was born on June 29, 1922, in Shawnee Mound, Missouri, to Albert and Bertha (Kampe) Wilson. Charles served in the Army for three years during World War II and was honorably discharged from the 350th Searchlight Battalion on January 6, 1946. After the war, Charles was united in marriage to Betty Jean (Smallwood) Wilson on August 15, 1948. To this union were born two daughters: Janice Belle and Phyllis Ann. After the passing of Betty Jean, Charles married Bonnie Counts. Charles was employed at Dairy Farmers of America for over thirty years. He was a member of the Church of Christ for over fifty years and enjoyed drinking coffee with friends at the local coffee shops. Charles also enjoyed going to flea markets and trading vehicles. He enjoyed spending time with friends and family, and will be truly missed by all who knew him. Charles was preceded in death by both his wives: Betty Jean Wilson and Bonnie Counts, his parents: Albert and Bertha Wilson, his brothers: Herbert Wilson and Clifford Wilson, his sister, Gladys Fields, and his daughter, Janice Belle Wilson Watson. Survivors include his sister, Louise Grasher of Clinton, Missouri; daughter, Phyllis Ann Bradley and her husband Sam, of El Dorado Springs, Missouri; grandchildren: Travis Bradley, Tammy Mays and husband Jarrod, and Bobbi Abbiatti and husband Jason; great-grandchildren: KaLee Wisner and husband Matt, Rylie and Connor Bradley, Garrett, Madison, Macie, and McKinli Mays, and Hadley and Tatum Abbiatti; great-great-grandson Ben; a host of nieces and nephews; and a longtime friend, Jan Cummings. Graveside services for Charles were held on Saturday, November 16, 2013, at Clintonville Cemetery with David Studer officiating. Interment followed under the direction of Bland-Hackleman Funeral Home. Pallbearers were: Travis Bradley, Jason Abbiatti, Jarrod Mays, Garrett Mays, Carl Kent Fortney, and Tom Killebrew. Honorary pallbearers were: Conner Bradley and Sam Bradley.